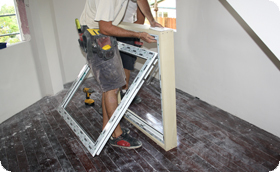 The most important part of the installation procedure comes before you even have your windows. 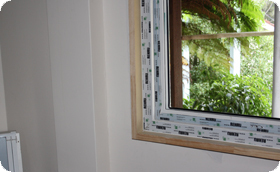 It is critical that you measure your old window opening properly and accurately. Pvc windows are custom-built and can't be returned if the size ordered was inaccurate. This is why for all replacement windows and doors and some new constructions, our trained technicians will take their own measurements before manufacture. Most windows and doors are manufactured to +/-2 mm accuracy so ideally you should get the closest fit possible. We recommend the installation and glazing of Window Factory Double Glazed Windows and Doors be carried out by qualified technicians (such as window installer and glazier) or builders. However, we have had many enquiries from DIY enthusiasts for supply only. We are happy to provide Double Glazed Windows and Doors on a supply only basis, but feel that for some of our clients, the installation work performed by themselves or independent trades people has compromised the quality of our windows and doors somewhat. For instance, in the event of a large gap between the wall and window, which is not covered or filled, there will be a decrease to the noise insulation and energy efficiency of the window or door. Please note that we will not be responsible for incorrect installation if we did not install your windows and doors, and we suggest that you contact the responsible party who performed the installation work. We have been very successful at fixing poor installation of Double Glazed Windows and Doors - even those supplied by our competitors, but a fee is payable for this service, which depends on the complexity of the job and the quantity of items involved. 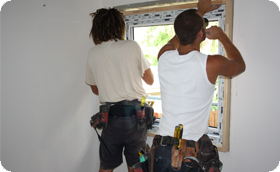 We also offer a consultation service for builders if they are unfamiliar with Pvc windows. The errors of judgement of some clients have led us to the creation of avoid-a-DIY-disaster installation tips. Please note that this information intended to be used as suggestions on what to look out for, based on our experience in correcting many problem installations, rather than a step-by-step guide to installing the Double Glazed Windows or Doors. Every installation may have unforeseen difficulties ranging from the weather to architectural challenges which may require an experts knowledge and experience to resolve, and although we took care in providing accurate information, please don't take complete reliance on it. Before starting it may be prudent to first check the size, style and position against order. The Double Glazed Window may be perfectly installed, but if it is upside-down or meant for another room - the plan is compromised! Prepare the immediate site by covering with durable dustsheets inside and out. Using screwdriver/nail bar remove all opening sashes. To remove glass in remaining window fixed lights, carefully crack glass with the aid of a screwdriver/punch and light hammer. Always start at the top corner from inside the window, remove cracked shards and deposit into plastic bin. With the aid of a Stanley knife on inside of window, break plaster seal around periphery of window frame. Using crosscut saw, cut through the remaining vertical (mullion) and horizontal (transom) frame members and remove. 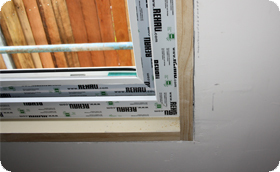 Paying attention to minimise damage to plaster, brickwork and damp proof membrane cut through the outer frame jambs head and cill of the window frame. With careful application of the nail bar, it should now be possible to lever the framework away from the plaster line with minimum disturbance. Remove any projecting cement accumulations with your masonry chisel and clean away any debris around the opening. Cill (where required): Position the cill profile onto the brickwork, such that the up stand is snug against the plaster line of the jambs (it may be necessary to trim the 'horns' to fit around the brickwork. Using the plastic packers, level the cill with approximately 5mm clearance between it and the brickwork. Secure the cill to the brickwork using the 8 x 100 mm fixing bolts positioned approximately 150 mm from each end and at 600 mm centres thereafter. Check for level and do not over tighten the fixing bolts. Run a bead of silicone along the back edge of the cill up stand. Using silicone or superglue, secure the end caps into position. They may need trimming to size if the cill horns have been cut around the brickwork. Remove all glazing beads from the window frame, marking them accordingly to ensure they can be replaced into the original position. Offer the new window into position, with the base snug against the cill up stand, ensuring a tight seal into the bead of silicone. Clean off any excess silicone, which might occur. 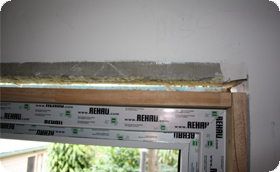 With spirit level, ensure the new window is positioned vertically and where appropriate hard up against the plaster line. Wedge the window into position using the plastic packers provided. Do not bend the framework by over packing. 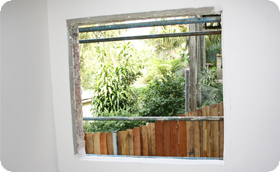 Open the vents of the window to enable access to the outer frame jambs. Using #8 x 40 posidrive screws, secure the bottom of the window to the cill, 150 mm from each internal corner and 600 mm centres thereafter. Secure the window jambs into the brickwork surround using 8 x 100 mm fixing bolts, again 150 mm from each corner and at +/- 600 mm centres thereafter. In all cases ensure that the screw heads are not standing proud as this may interfere with the glass positioning. It is not advisable to attempt bolt fixing in the head of the window, as this may permanently damage the structural lintel of your window, the best solution for fixing the head is to use expanding foam. Close and lock all opening sashes, check for square ness within the outer frame. Prior to moving the glass sealed units into the approximate aperture, it is necessary to position 25 x 100 x 15 glazing bridges into the frame recess. A dab of silicone will secure the packer in place in preparation for the next step. Position a 28 x 100 x 5 glazing packer onto the bottom glazing bridges. In the case of side hung sashes also glue or silicone secure an additional 28 x 100 x 5 glazing packer onto the glazing bridge opposite the hinge side. Locate the appropriate glass sealed unit into the aperture, resting squarely on the glazing packers, ensuring the glass is central within the opening. Push the glass back into the rebate as far as it will go without using undue pressure. Using hand pressure only, position additional 2 mm glass packers to square up where necessary. Gently unlock and open the sashes to check that no binding occurs within the locking system and no movement occurs between the glass and frame, minor glass packer adjustments may be necessary to achieve perfect squareness. Clip back the pre marked glazing beads into the original position in the following order first - top, second - bottom, then sides. Carefully gun a bead of silicone between the outside masonry and window frame periphery, wiping off any excess. Similarly, gun a thin bead of acrylic between the inside plaster and window from the periphery. Remove all protective tape from the faces of the window frame, clean where necessary with warm soapy water. 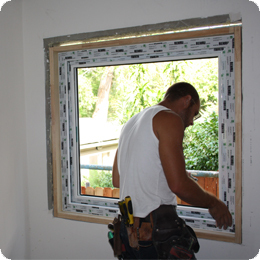 When the window is installed, check its operation (unless fixed panel). You should not have to use force to open and close the window, and it should be airtight when closed. The sash should fit into the frame and there should be no gaps between frame and sash and frame and wall when closed. If the window or door looks crooked it has not been correctly installed. To check for operation, open the sash a few times and check if the operation is smooth and comfortable. Installation of Secondary Double Glazed Windows and Doors involves installing the new Double Glazed Window behind the original window frame, which is retained, so the secondary window becomes adjacent to the existing window.